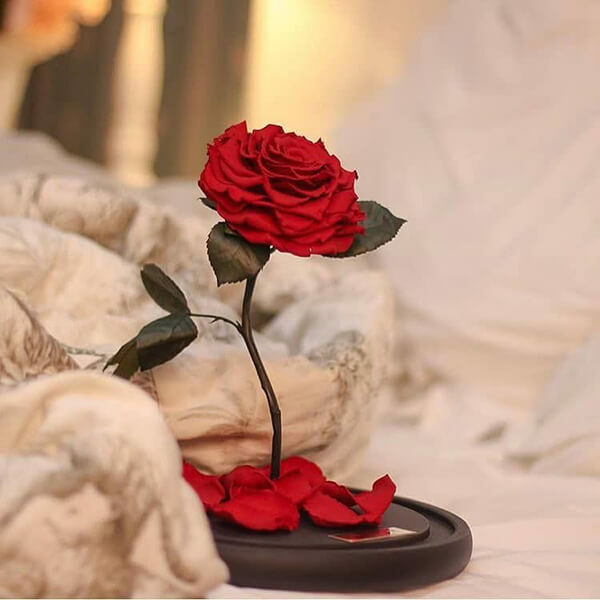 First, the Forever Rose is a real rose, not something made of silk or paper or something else to make it looks like rose. 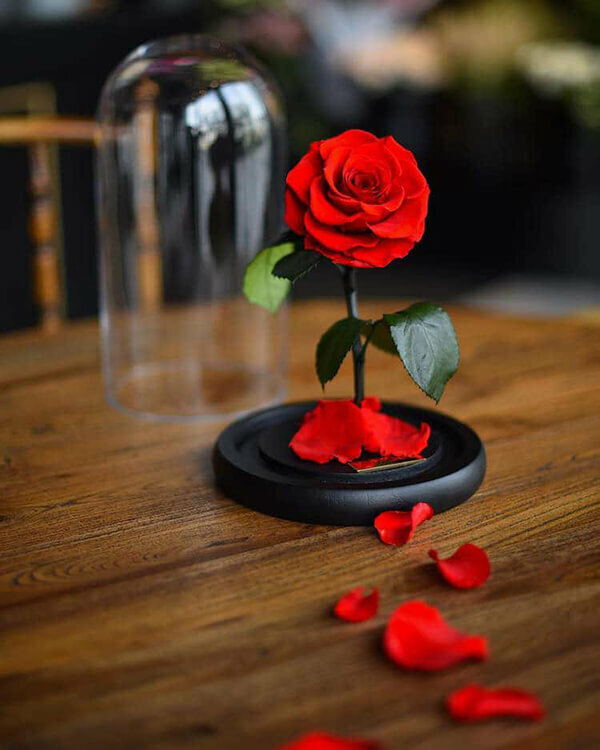 Second, unlike ost floral arrangements that wither within a week or 2, the Forever Rose will remain beautiful, well, forever. 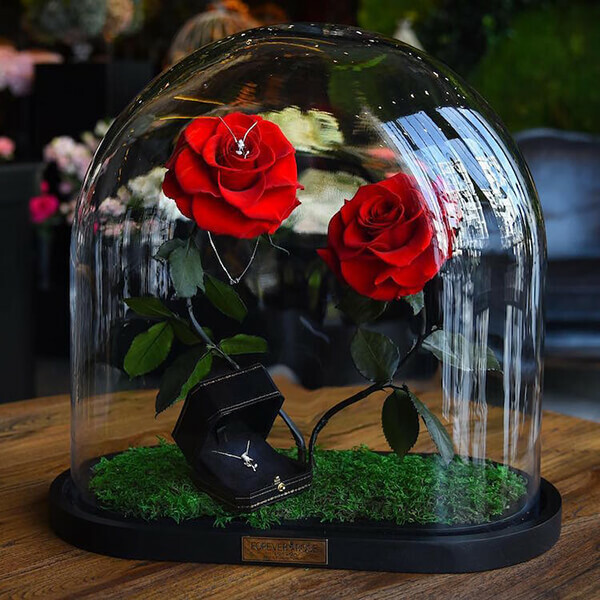 According to the luxury flower company Forever Rose London, Each rose stands upright in a glass dome. 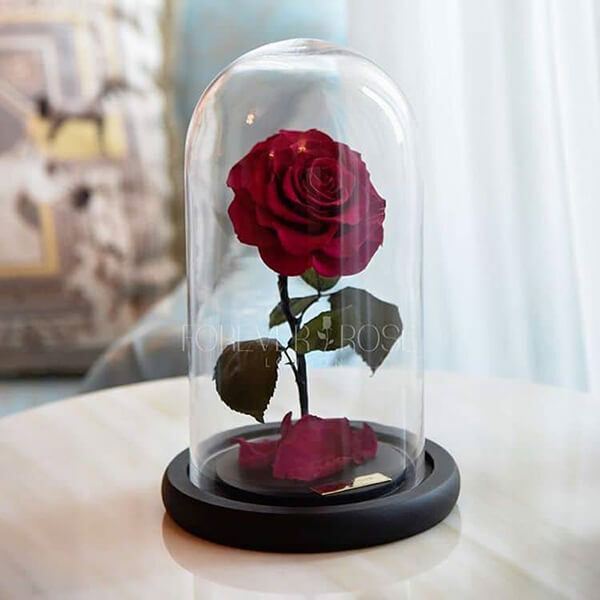 If left encased in the bell glass, the rose can last forever without sunlight or even water. 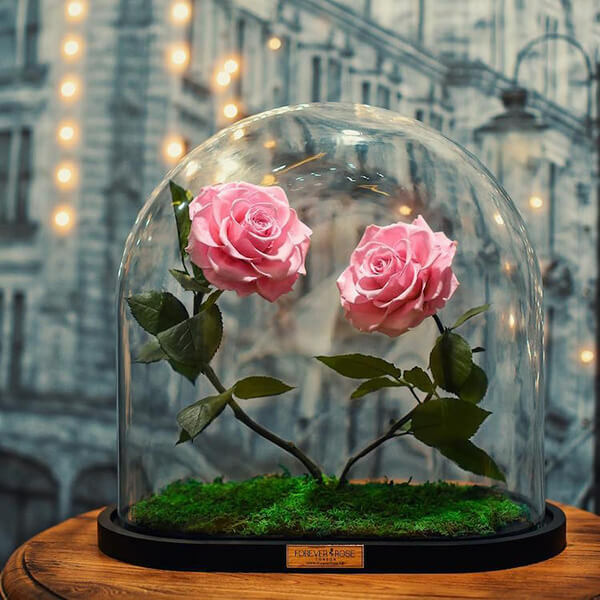 If removed from the protective cloche, it will still retain its recently-plucked appearance and remain wilt-free for up to 3 years. How is that possible? Of course, the company won’t tell their secrety. 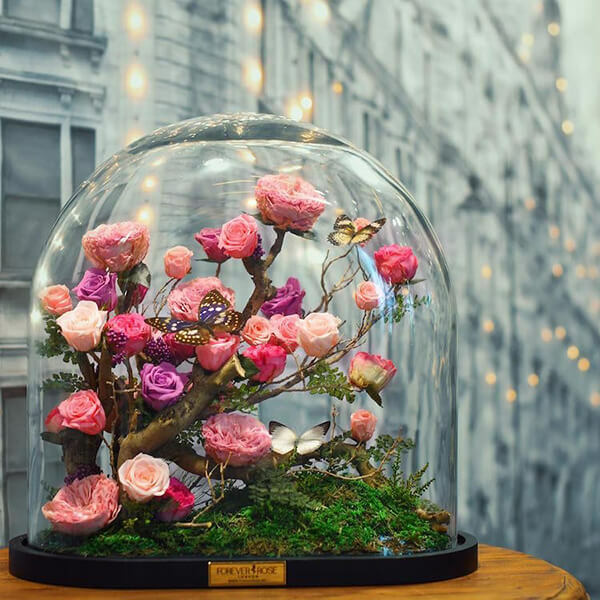 But based on what they can say, a mixture of glycerin and other oils is used to preserves the flowers and helps them stay fresh. 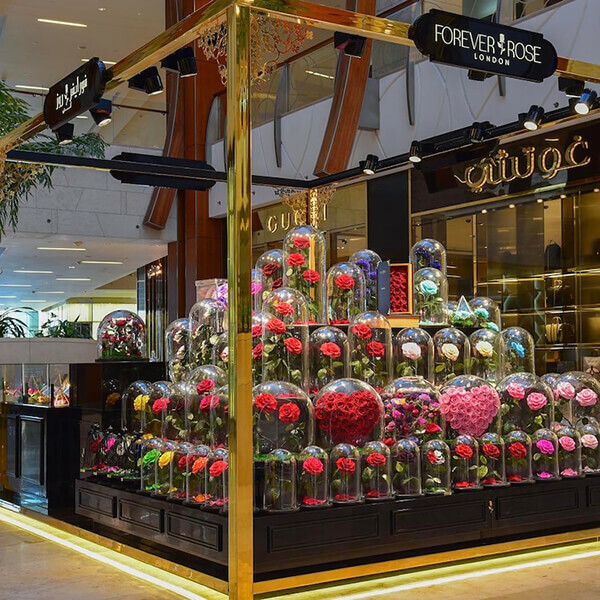 Of course, the quality of flower is also important. In addition to classic red rose there are a wide variety of colors and arrangements. Of course, they don’t come cheap. Prices range from $200 to $4,000.